Beth Ann Beckmann – Is the Elementary Social Worker for the Lewisville Independent School District. Her interests include being a partner to Todd, hanging with son Wyatt, running, coffee, reading, watching football, and spending time with the people she loves. Beth Ann received her BSW and MSW from Baylor University with a concentration in Families and Children. She and her husband are Waco kids, who moved to the BIG city six years ago. They attend the Village Church and reside in Highland Village, TX. Keith Campbell – Is a Sr. Account Manager at Hudson Bus Sales in Cleburne, TX. He is recognized nationally as the company’s top salesperson. However spend any time around Keith and you know his life centers on giving back to others. 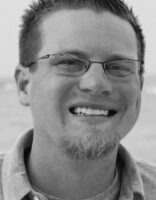 Radically transformed by God as an adult, Keith is passionate about his faith and the amazing story of grace shown him. He excels at working with men, helping them to find community and purpose. He volunteers extensively both in the church and community. He attends Valley Ranch Baptist Church, leads men’s groups, mentors boys at local elementary schools, and is a friend that people seek in life. Keith is a proud graduate of Texas Tech University. He is married to Brenda, and they reside in Coppell, TX. They have two young adult children Brandon and Lindsay. Jim Mustain – is the founder and Executive Director of Loving Community a faith-based, 501(c)(3) public charity encompassing eight varying community initiatives. Previously he led churches in roles ranging from Executive Pastor to Pastor of Community and Life Transformation. Jim serves on the Board of Directors of the Lewisville Area Chamber of Commerce, is Chairman of Leadership Lewisville, holds Place Number 7 on the City of Lewisville’s Community Development Block Grant Advisory Committee, is on the Board of Directors of Christian Community Action, and is President of the Rockbrook Homeowner’s Association. 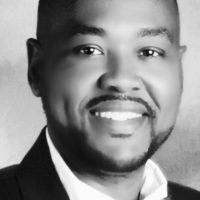 Melvin Owens – Is an Assistant Principal at Lewisville High School – Harmon Campus. He is also the founder of Men of Distinction an award winning mentoring program for young men. His education includes a Bachelors and Masters from Texas A&M University – Commerce in English Education and Training and Development. He has been in the field of education as a teacher, coach, and administrator for over 20 years. He is a proud member of Alpha Phi Alpha Fraternity, Inc. and Texas Association of Secondary School Principals. He loves to play golf! He has been married to Dr. Dena A. Owens for 23 years and has 2 kids (Jarvis and Madison). He is a member at Valley Creek Church. Stephanie Hall Radtke – Is an Assistant Principal at Marshall Durham Middle School in the Lewisville Independent School District. She has been in education since 1997 serving in various roles from administration, athletic coordination, coaching, physical education and testing coordination. Her educational philosophy is that all students are uniquely capable of learning and deserve to be challenged. Learning is dependent on a safe and flexible environment. She is a Duncan, OK native and graduate of the University of Oklahoma with a Bachelor of Science degree in Education. She received her Masters Degree in Education Administration from Lamar University in Beaumont, Texas. She is married to Chris and has one son Hallen. Her hobbies include sports, especially University of Oklahoma sports! 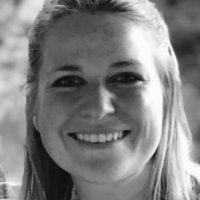 Jill Stein – Is a national account manager for Fed Ex Office. She is responsible for the management and relationship of their largest account, The Boeing Company. She is an industry expert and passionate about the delivery of services and building relationships with her clients. She is a multi-year winner of the President’s Award in sales. She became a Christ follower in 1997 after a series of life challenging setbacks. She is a cancer survivor and serves as a patient advocate at the Winship Cancer Center at Emory Medical Center. She is passionate about her relationship with Christ, has hosted community groups in her home, and serves as a deacon at her church, Dunwoody Community Church. She lives in the north Atlanta suburb of Dunwoody and has one adult son, David. David Bianconi – Is the Vice President of Christian Leadership Concepts, and City Director of Knoxville, TN. The mission of CLC is to equip men to initiate and lead for Christ in their homes, churches, communities and marketplace. David is a Nashville, TN native and as a student connected with the relational ministry of Young Life. David first experienced CLC as a participant where he saw the way men grew in the Lord as they came together, let their guard down, and allowed the Lord to change them. In 2004, David joined the staff of CLC in Knoxville. His vision is to see God change Knoxville as men grow in Christ, and that growth filters through marriages, children, local churches, and the community. David loves walking in the Smoky Mountains, working in his blacksmith shop, playing with his children, and going on dates with his wife Kristin. 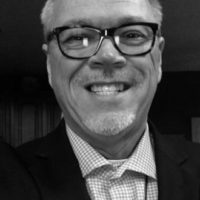 Dr. Jim Burgin – Is the Director of Communications at Mission Arlington/Metroplex, the Pastor at Grace Street Fellowship in Arlington, and also an Adjunct Professor of Ethics at B.H. Carroll Theological Institute. Jim has a pastor’s heart and for decades has been investing in the lives of people in local churches, mission organizations, university classrooms, and for the past 15 years through the ministry of Mission Arlington/Metroplex, a nationally recognized ministry whose mantra is taking church to the people. Jim, alongside many of his family, including his mother Tillie Burgin, the mission’s founder annually serve thousands of people in the Arlington and surrounding areas with food, clothing, furniture, medical and dental care, and most importantly spiritual help. Mission Arlington/Metroplex has an evangelistic heart, is a network of Bible studies and churches (4,500 people attending each week), a community crossroads, a center for community ministry, and a base for missionary training in which forty-two thousand people from all over the country attend annually. Jim is married to Debbie and they have two adult sons Clark and Steven and two grandchildren. Jim earned his PhD in Christian Ethics and Philosophy of Religion and Master of Divinity from Southwestern Baptist Theological Seminary and his BA in English and Mathmatics from Baylor University. Vista Ridge UMC was selected church of the year in 2015 for their spirit of volunteerism by Christian Community Action. They partner extensively with the neighborhood surrounding the church and were recognized by the North Texas Conference of United Methodist for their partnership with Rockbrook Elementary School. Mary Beth is a graduate of SMU Perkins School of Theology. She is married to Brian, a Methodist minister as well, and they have two children, Christopher and Lilly. Toby Cupstid – Has been assisting individuals in ministry related work his entire professional career. He currently serves as Director of IT Services for GuideStone Financial resources where he has worked for over 25 years. GuideStone provides employee benefit solutions and services for churches and ministry related organizations. Toby is a graduate of Baylor University where he earned a Bachelors of Business Administration degree in Management Information Systems. Toby and his family are members of Valley Ranch Baptist Church. He and his wife, Ashley, have taught children and youth in various churches for the past 20 years. Toby and Ashley have two children – their son, Colton, is a junior at Baylor University and their daughter, Payton, is a freshman at Texas A&M. He enjoys all things sports related, especially golf outings with the entire family. He also enjoys serving as a volunteer mentor to elementary aged boys. Dr. Darryl Eldridge – Is the President and Cofounder of Rockbridge Seminary, a fully-online seminary built on the five purposes of the church. Before seminary teaching and throughout his faculty career, he has served in the local church as a youth pastor and minister of spiritual development. He is the editor of the textbook, The Teaching Ministry of the Church and is the author of numerous articles and curriculum materials. Vern Edin – Is “technically” retired after serving as an educator for the past forty years. However even in retirement Vern continues to serve in roles as a Supervisor of Student Teachers at Dallas Baptist University, Cadre Leader of Student Teacher Interns at University of North Texas, and a Principal Mentor Coach and Superintendent Liaison for the Coppell ISD. Under his leadership, Coppell ISD saw CMS West become the district’s first National Blue Ribbon School of Excellence in 1994 – a recognition bestowed by the U.S. Department of Education. Vern has served on the Executive Board of the Texas Middle School Association between 1998 and 2008 and on the Board of the Texas Association of Secondary School Principals for the past 25 years. He has also been recognized for his service at the state level. Vern and his wife Theresa (a flight attendant for American Airlines) moved to Coppell in 1983. They have three grown sons, Bryan, Michael, and Jonathan, who live in the Dallas and Houston areas. In retirement Vern remains active in his church, the Coppell Community, and in the education field along with traveling and enjoying more time with his wife and their family. Ryan Harriston – Along with his wife Laura, and their three girls live in New York City, NY. Ryan and Laura are missional neighborhood practitioners and work alongside a church where they long to see their neighborhood and city look more and more like the Kingdom of God. Ryan and Laura are also the founders of Waken Ministries and the National Directors of Forge America. Ryan’s heartbeat is to help all people realize their ability for life change and world transformation. He is a missionary mobilizer and trainer, consultant, and teacher/speaker. 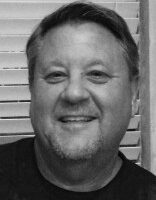 Dr. Jim Johnson – Is a co-founding and senior pastor of Preston Trail Community Church in Frisco, Texas with over 35 years experience pastoring in Texas, Georgia and Florida. Jim’s passion and approach to life and ministry can be found in the mission and values of the church he helped co-found. Saying their mission is, “helping people find and follow Jesus Christ”, Preston Trail’s corresponding values are; smile first, welcoming people so they feel expected and accepted, think family, growing marriages and families that are built to last, be real, taking off our masks and daring to be known, do stuff, turning what we’re learning into action, lead forward, anticipating what’s next and having the courage to do it, love story, celebrating God’s big story . . . and every new one He writes. A native of Midland, Texas, Jim earned his Master of Divinity degree from Southwestern Theological Seminary and his BA and PhD from Baylor University. He and his wife, Robin, have three grown sons, Tyler and Brady, son Ben and daughter-in-law Behtanne, and one granddaughter Lorien. 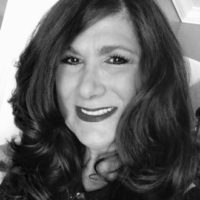 Angela Miller – Is an attorney who is experienced in counseling and advocating for clients in probate, guardianship, estate planning, mental health and elder law matters. She is an ad litem certified by the State of Texas and appointed by courts to represent alleged incapacitated persons in guardianship and probate proceedings. She also serves as an attorney in mental health. She is a graduate of Texas A&M University with a degree in business/finance and Arizona State University with her Juris Doctorate. Angela is active in her community and church where she serves as a deacon. She resides in Coppell, TX and have three young adult sons Matthew, Nathan, and Andrew. Heather Mustain – Is the Minister of Missions at Wilshire Baptist Church. She graduated from Truett Seminary at Baylor University with a dual Master of Divinity and Master of Social Work degree . She earned a bachelor’s degree in sociology from the University of Colorado at Boulder. She is a licensed social worker. She and her husband, Chad, have extensive global missions experience, having worked in Ghana, South Africa, Jamaica and Philadelphia. Heather has written on issues of social work in the local church and has been a presenter at the National Association of Christian Social Workers and at Baylor conferences. Heather and Chad, outdoor enthusiasts, enjoy living in the White Rock Lake district with their daughter Jimmie Kathleen and Boston Terrier, Mabe. Sharon Mustain – Is an elementary school teacher at Elite Learning Academy, part of Texas Dream Gymnastics in Coppell, TX. For the past thirty years Sharon has creatively blended her life passions of education, a strong sense of family, and a heart of service into a role that may best be termed a “creative educator”. The mother of three young adult children, grandmother (Mimi) to one grandson, the wife of a pastor, and a mentor of many young families and students, her broad life experiences and skill set has allowed her the opportunity to be an educator in multiple settings and age levels. She is a graduate of Baptist Bible College. She works side by side with Jim as a practitioner in the neighborhood ministry of Loving Community. Dr. Larry Parsley – Is the Senior Pastor at Valley Ranch Baptist Church in Coppell, TX. He received his Master of Divinity from Southwestern Seminary, and his undergraduate and Ph.D. degrees from Baylor University. 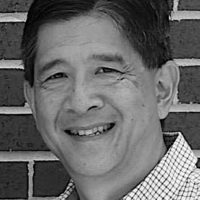 Larry serves on the leadership boards of several charities and denominational entities. He is a public speaker, author, seminary professor, and global missions proponent. His greatest love comes from pastoring in the local church. Larry and his wife Jaletta, a Psychologist specializing in children and families, live in Coppell where they have raised their four children. Janis Townsend – Has been involved in missions for a number of years and has worked extensively in Peru over the past ten years. There she founded a community organization called Common Hope that provides social support services in a poor area in southeastern Lima, the capital city. She has been an active member of the missions committee at Valley Ranch Baptist Church in Coppell and currently serves on the Peru mission team. Janis has a Bachelor and Master’s degree in education from Texas Tech University and is currently completing another Master’s degree in Family Studies at TWU in Denton. Her career path has been in Human Resources, and she is currently the Director of HR at the University of Dallas. She has three children ages, 23, 19 and 17 and a four-year old granddaughter. She enjoys reading, movies, bicycling…and missions work! Amy Wilkins – Serves as the Minister of Community and Global Missions at Valley Ranch Baptist Church in Coppell, TX. She graduated from Truett Seminary at Baylor University with a Master of Divinity degree and a bachelor’s degree from Baylor as a University Scholar. 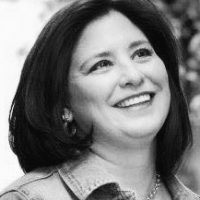 Amy has served on the leadership boards of several charities and denominational entities, most recently including the Cooperative Baptist Fellowship and Texas Baptists. Amy is passionate about seeing the Kingdom of God furthered locally and globally, and equipping Christ-followers to carry out God’s mission in the world. Amy and her husband Chris, a history teacher and basketball coach at Ranchview High School, live in Coppell, where they are teaching their three young daughters to share their love of all things outdoors.